Berries and a Wine Glass – Lovely.Multifaceted.Chic. I have been away getting some much needed rest and relaxation. I’ve also been spending time focusing on this new chapter in my life. I share more with you at a later time. So, in my journey of being healthy, I am eating quite a bit of fruits and veggies. I like to have a little fun with eating. 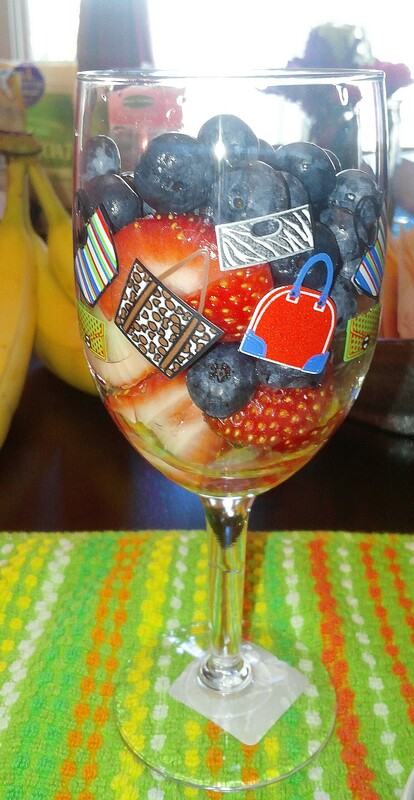 Over the past several months, I have been eating my fruits and drinking my smoothies from my fashion inspired wine glasses. Why not add a little fabulocity to being healthy? By the way, I got my wine glass from Dollar Tree. They have really nice decorative glasses for fashionista. Are there any creative ways you enjoy eating?